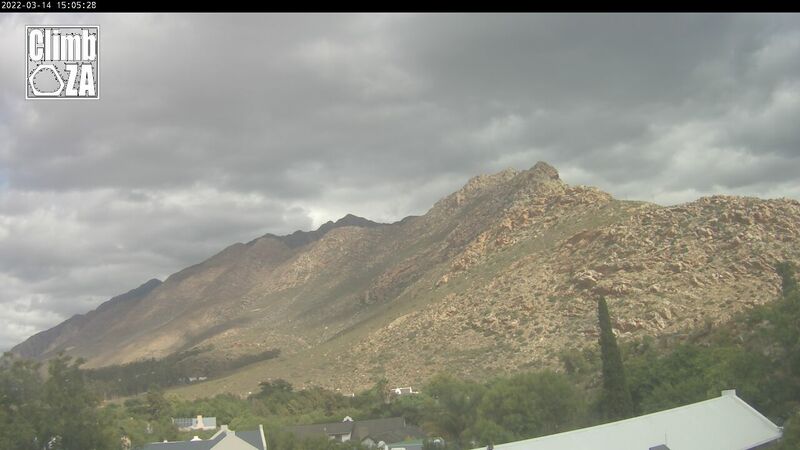 Climb ZA Route 62 Web cam of Montagu. The webcam updates the image every 10 minutes. The view is looking south towards Aasvoelkrans and Cogmans Buttress.